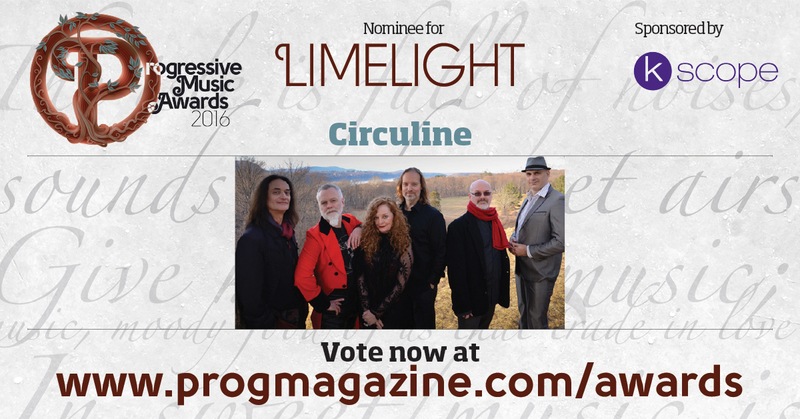 Thank you so much to Jerry Ewing and all of the amazing people at PROG Magazine for nominating Circuline for the Limelight award, as one of the best new bands of the year! “Forbidden Planet” – Music by Andrew Colyer and Darin Brannon. Lyrics and vocal melodies by Randy McStine. Additional vocal harmonies by Andrew Colyer, Natalie Brown, and William Spillane. Guest guitarist is Alek Darson (Fright Pig, Meridian Voice Project). Circuline’s newest release, “Counterpoint” (May 2016), features an All-Star lineup of SEVEN guest guitarists: Randy McStine (The Fringe, Lo-Fi Resistance); Doug Ott (Enchant); Alek Darson (Fright Pig, Meridian Voice Project); Ryche Chlanda (Fireballet, Renaissance, Flying Dreams); Alan Shikoh (Glass Hammer); Matt Dorsey (Sound of Contact, Dave Kerzner); and Stanley Whitaker (Happy the Man, Oblivion Sun). The compositional team of Colyer/Brannon returned for this second album, partnered with the songwriting of McStine, and the vocal arrangements of Spillane/Brown/Colyer. Immediately, the album started garnering praise and new fans. Performing original cinematic progressive rock, Circuline was founded in 2014 when former progressive rock tribute band Downing Grey members Andrew Colyer (keyboards, vocals), Bill Shannon (guitars, vocals), and Darin Brannon (drums, percussion) had a burning desire to write original material. Lead vocalists Billy Spillane and Natalie Brown were up for the challenge, having performed in countless venues as singers, actors, dancers, and rock musicians. New guitarist Beledo (as of January 2016) brings a whole new dimension to the band’s compositions and live performances. Circuline’s debut album, “Return” (released Spring 2015), featured Guest Artists Matt Dorsey (Sound of Contact) on bass, Randy McStine (Lo-Fi Resistance) as a songwriter and vocalist, and Joe Deninzon (Stratospheerius) on electric violin. Paul Ranieri (Shadow Eden, Mark Wood Rock Orchestra) joined the lineup as touring bassist in late 2014, and joined the band for their second album starting in summer 2015. 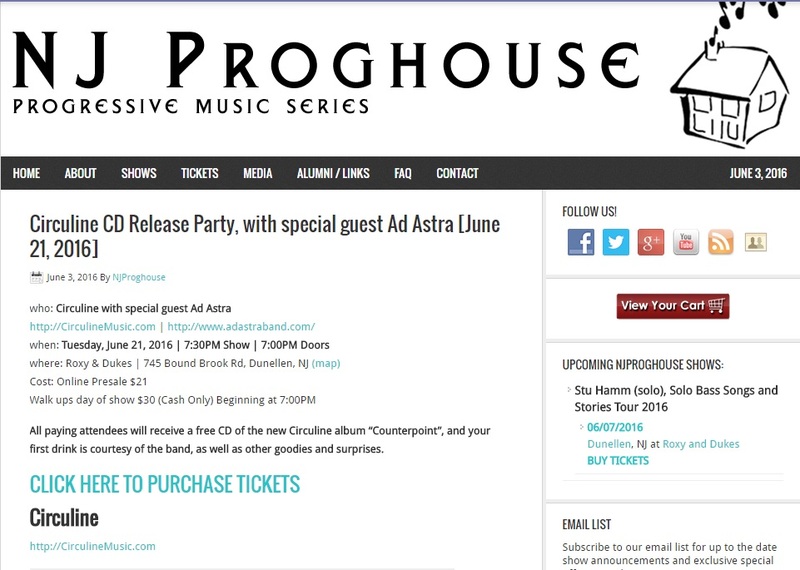 The New Jersey Prog House will bring Circuline back to perform for the second time, for their CD Release Party! Special guest Ad Astra will open the show. All paid attendees will receive a copy of the new CD “Counterpoint”, first drink ticket, a slab of bacon, and a chocolate chip cookie in a good bag! Plus your name will be entered into a drawing for a free house concert! Plus we’re working on some other cool stuff to giveaway…….please come and join us! Please share Shadow Eden’s shows the weekend of June 15. 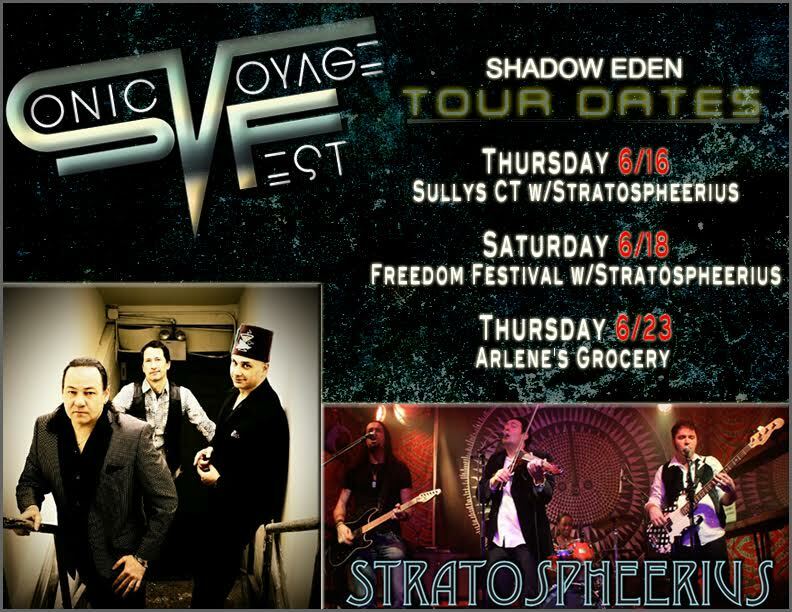 On Thursday June 16, Sonic Voyage Fest with Shadow Eden and Stratospheerius, at Sully’s Pub, 2071 Park St, in Hartford, CT. Website is www.SullysPub.com. Phone: 860-231-8881. New Posters for Fall Tour! 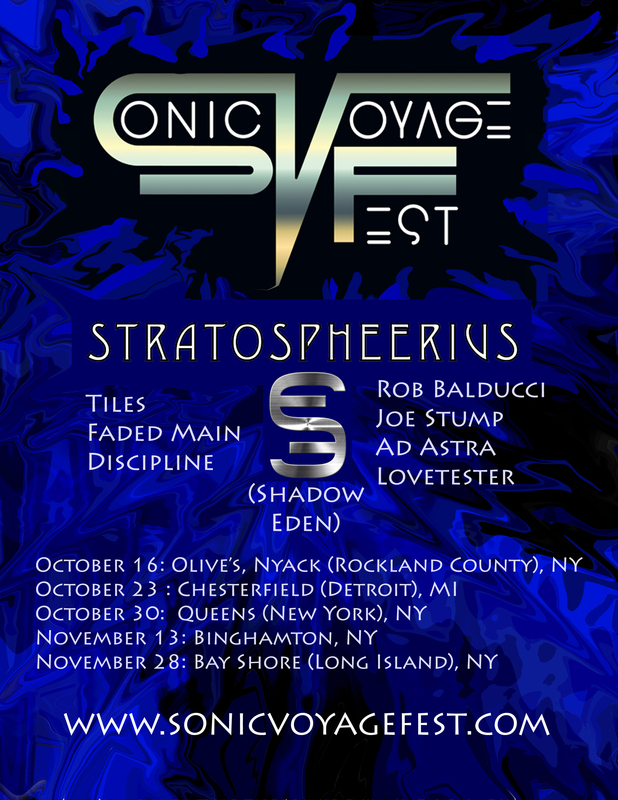 I think you’ll like these new posters for the 2015 Fall SONIC VOYAGE FEST! Legendary comic artist John Wilcox designed these for us, and we thank him. October 16, Stratospheerius, Shadow Eden, and Lovetester, Olives in Nyack (Rockland County), NY. www.facebook.com/OlivesNyack. October 23, Stratospheerius, Tiles, and friends: Faded Main and Discipline Diesel Concert Lounge, Chesterfiled, MI (Detroit.) Get your tickets at etix. October 30: New York City on Halloween Eve Joe Deninzon & Stratospheerius, Rob Balducci, Joe Stump, Shadow Eden at Gussy’s in Astoria, New York City, NY. www.facebook.com/GUSSYS-BAR. November 13 Shadow Eden and Ad Astra at Binghamton’s CyberCafe West, cybercafewest.com. November 28, Joe Stump, Shadow Eden, Stratospheerius & Ad Astra, at Even Flow in Bay Shore (Long Island), NY. www.evenflowbarandgrill.com/. Posted in Uncategorized	| Comments Off on New Posters for Fall Tour! 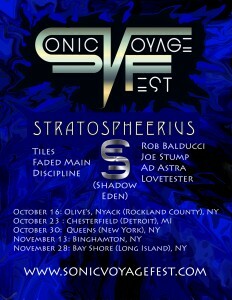 Get ready for Sonic Voyage Fest this Fall in New York and Michigan. 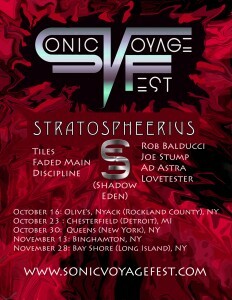 On October 16, Stratospheerius, Shadow Eden, and Lovetester will be playing at Olives in Nyack (Rockland County), NY. LIKE Olives at www.facebook.com/OlivesNyack. On October 23, Stratospheerius, Tiles, and friends: Faded Main and Discipline will be filling Diesel Concert Lounge up with sound. Diesel is in Chesterfiled, MI, right near Detroit. Get your tickets at etix. Prog comes alive in New York City on Halloween Eve, October 30. 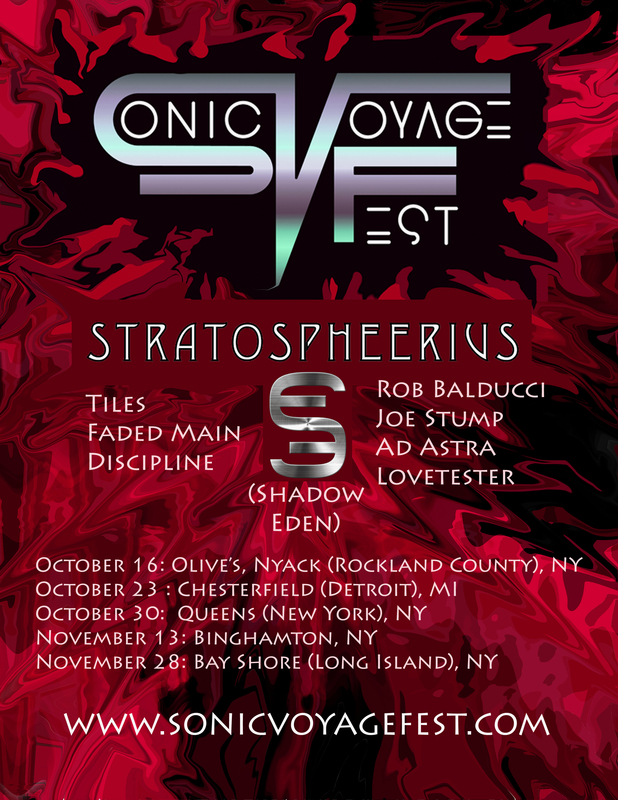 Celebrate Sonic Voyage Fest’s Halloween Party with Joe Deninzon & Stratospheerius, Rob Balducci, Joe Stump, and Shadow Eden at Gussy’s in Astoria. Find Gussy’s online at www.facebook.com/GUSSYS-BAR. November 13, friends in Central New York will be treated to Shadow Eden and Ad Astra at Binghamton’s CyberCafe West online at cybercafewest.com. November 28, Even Flow in Bay Shore (Long Island), NY. 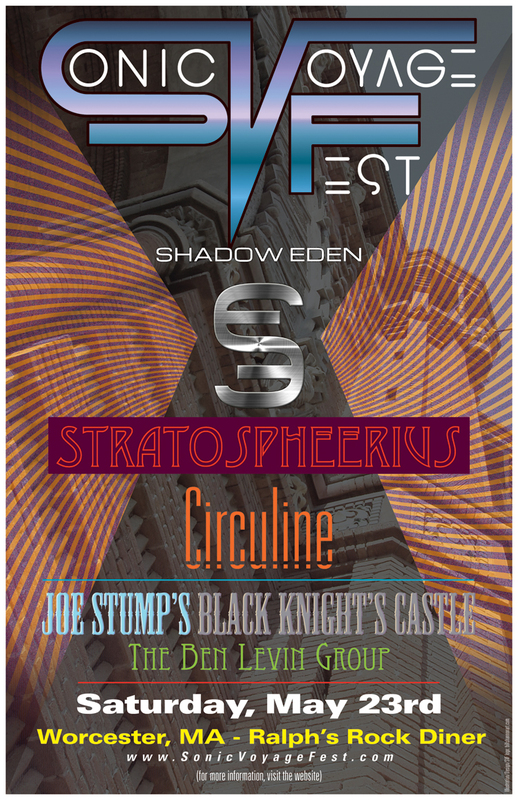 On the bill: Joe Stump, Shadow Eden, Stratospheerius & Ad Astra. www.evenflowbarandgrill.com/. Posted in Uncategorized	| Comments Off on Get ready for Sonic Voyage Fest this Fall in New York and Michigan. New Hampshire’s Mavara will be opening the Sonic Voyage Prog Fest at the Stone Church on Sunday, May 24th. Now based in New Hampshire, Mavara, is Iran’s first premier progressive rock band. The name Mavara translates to “beyond everything you think” in Persian. The band was formed in 2001 by composer/keyboardist Farhood Ghadiri. Also in the group are singer Ashkan Hamedia, keyboardist Anis Oveisi , bassist Sina Khodaiefar drummer James Welch, and guitarist Scott Abene. 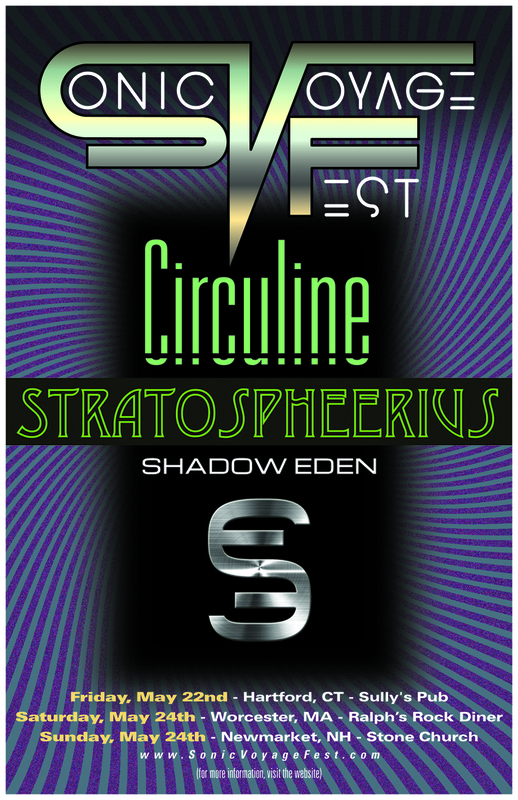 Modern rock bands Circuline, Stratospheerius, and Shadow Eden will be performing in the Northeast – Memorial Day Weekend – May 22nd-24th, 2015. Saturday, May 23rd – announcing the new Special Guests…..
We hope to see you at one of the three shows, Memorial Day weekend! –Sully’s Pub – great live music in Hartford!